[Santa Cruz, CA, March 21, 2019] – Step aside, coffee pods. Take a rest, instant coffee. There’s finally a single-serve option available in the world of high-end coffee, and it’s quickly becoming a game changer. 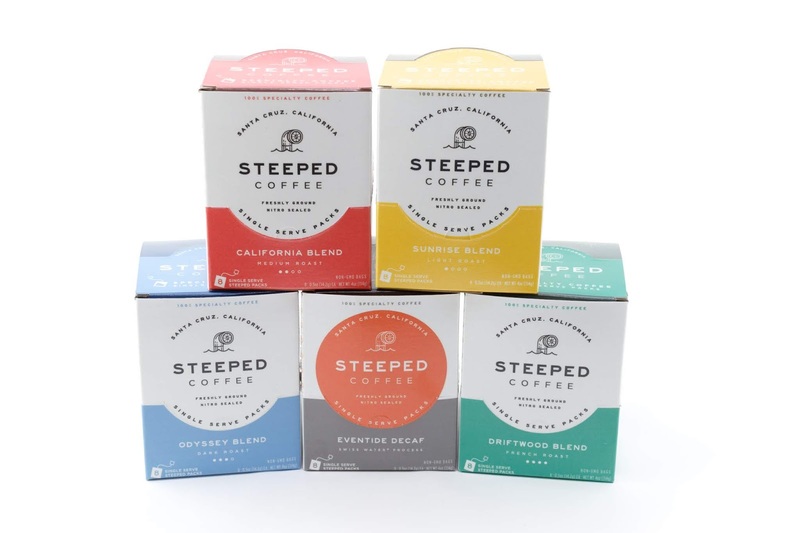 “Steeped Packs are the easiest way to make a delicious cup of coffee,” Wilbur Says. “You shouldn't need to perform chemistry before you’ve made your coffee.” Simply steep each Steeped Bag in hot water for about five minutes to allow the coffee to develop its distinctive body and flavor. There is no machine, no noise, no cleanup, no destructive waste. 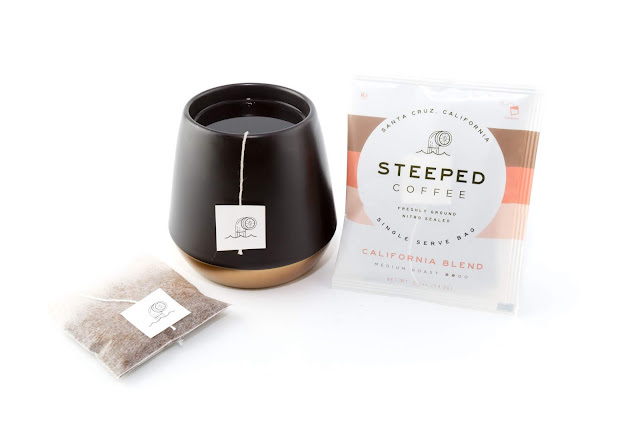 To purchase Steeped Coffee and accessories, visit https://steepedcoffee.com/collections/subscriptions. Disclosure: I received a variety package of Steeped Coffee to review. These would be wonderful to take on vacation. They would take up less room when packing and would limit having to run out to get coffee . I can't wait for them to become available in stores. It very well may be available in local specialty stores. I will try to find out and let you know. Im in Jersey too. I don't really drink a lot of coffee but my son does. This will be great for him to take to work with him.